In Italy, already-open Cervinia reported 80cm of fresh snow while just over the Swiss border nearby Saas Fee, which has been open since last Spring, has also reported a big fall, with 30cm (a foot) of fresh snow on Suinday and another 50cm today. 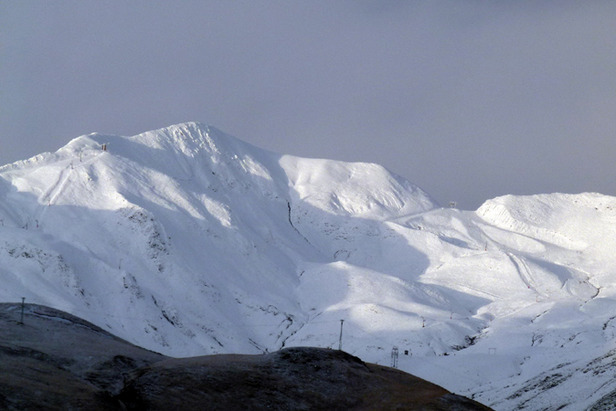 Down in the Spanish Pyrenees, Formigal, has reported 60cm (two feet) of new snow over the weekend too. "This fall has increased the level of snow at the slopes in the ski area from 10 to 30 cm at 1800m." said Jose Luis del Valle, the resort's commercial director. "At the same time we have started the snow cannons in this area so we are further increasing the snow level at the slopes. We are very happy to say that the South-Westerly front has which bought this weather is staying with us. We are pleased to say that we plan to open the resort on the 27th November.